From Beijing, we travelled to Shanghai. Here-to-fore, the biggest city I had been in was New York City (population ~ 8.2 million). 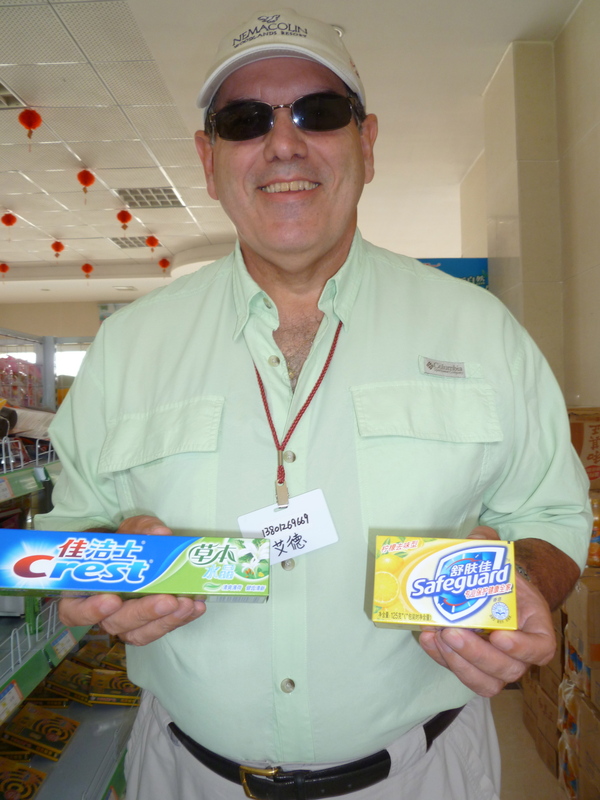 Beijing was a culture shock for me with about 20 million people. Patience was clearly a requirement for personal sanity. Everywhere there were long lines, crowded streets, and heavy traffic. But, Shanghai (~ 26 million) was a step change bigger. The city has a population nearly as large as Beijing plus New York City. Think about the challenges of managing a city of that size. Think about what your daily life would be like in a city with a population larger than every state in the United States with the singular exception of California (~ 37.6 million). Development in Shanghai is exploding. 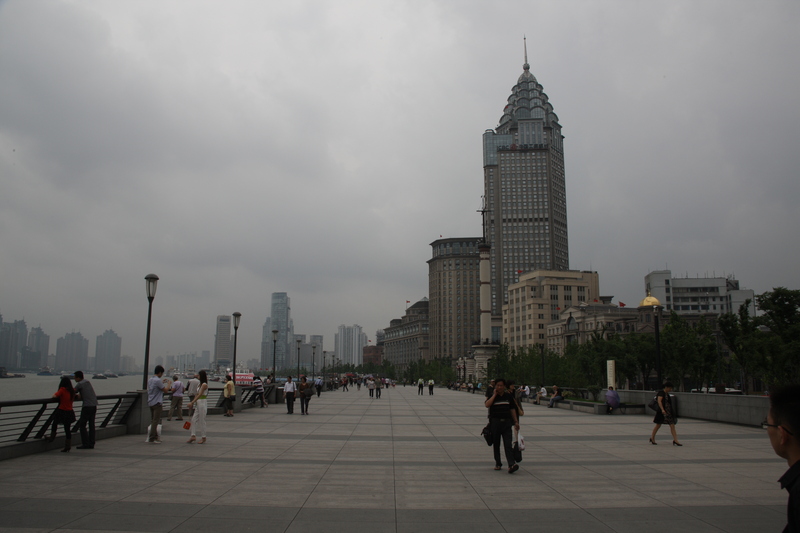 In 1990, the Pudong (east bank) area across the river from the Bund was declared a Special Economic Zone. Investment has poured in. There are new skyscrapers, hotels, and an international airport (opened in 1999). 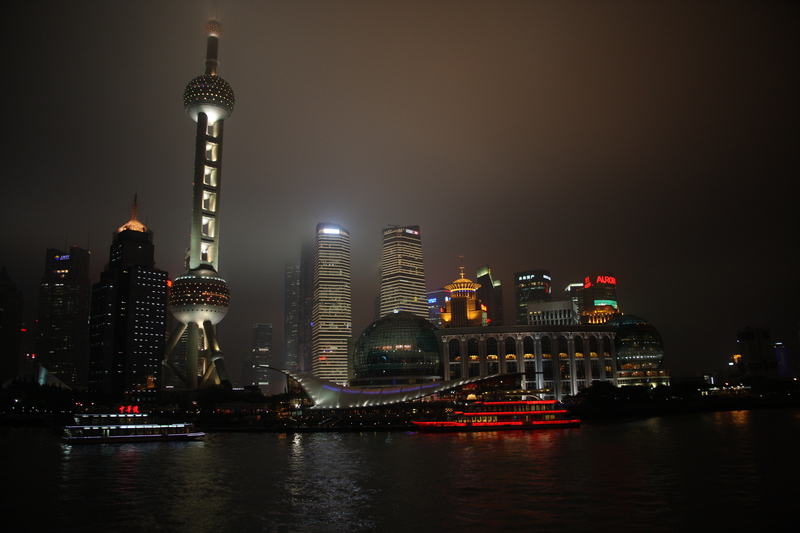 The Pudong district is rapidly becoming the financial and trading center for China. 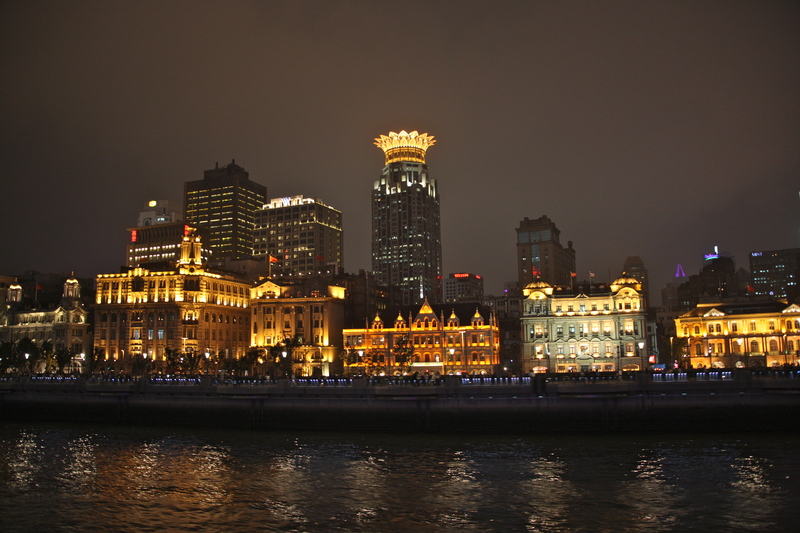 Shanghai epitomizes the transformation of China into a modern economic powerhouse. I believe it is a harbinger of China’s upside potential. One commonality between Beijing and Shanghai, besides the sheer number, is the determination and pride of the people. Everybody I interacted with had a passion for education and a strong desire to succeed in order to make their family proud. My wife and I had an opportunity to visit with a local family. We heard how the extended family collectively provided financial support for the education of their eldest son who was attending University. The expectation was that their son would pay everybody back over time after he graduated and got a good job. This was not an exception, but rather how many Chinese families support the cost of an advanced education for their children who qualify academically. Our hosts were very proud that their son had studied long hours throughout his grade school and high school years to qualify for enrollment at the University. It was interesting to contrast this approach with the way a typical American family addresses the advanced education of their children. I admired the apparent discipline, commitment, and passion for education instilled in Chinese children at a very early age. I also admired how academic success was a reason for family pride. The experience left me wondering if American children might be more globally competitive if more parents placed a greater value on academic success and instilled in their children a similar level of discipline and pride in achieving it. I also observed the typical Chinese family had good telecommunication access. Televisions and cell phones were everywhere regardless of socioeconomic class. I wasn’t totally surprised by this because a number of years ago I saw the same thing when I visited Mexico City. Even in the shantytowns, people had televisions. The implications of this degree of telecommunication access for companies to promote products and services will be an important enabler of accelerated capitalism in China. I did find that the messaging on television was highly favorable to China’s point-of-view, but there was also a BBC channel that provided a glimpse into our western civilization. In a previous post I mentioned the prevalence of “squatty potties”. In Shanghai I had to use one. Fortunately I had read my travel guide in advance and had a personal roll of toilet paper for just such an emergency. As an Eagle Scout I was taught to always be prepared. With the noted exception of the 4-5 star rated hotels with western style bathrooms, there seemed to be a widespread shortage of toilet paper (it has to do with their plumbing constraints). And, from observing mothers with their children enjoying Shanghai’s Bund promenade, there is a marked lack of disposable diapers too. As a P&G retiree, it reminded me of the classic story about the two shoe salesmen in Africa. I will also confess that old habits die hard. I couldn’t keep myself from doing a store check while I was in China. Okay, once a Proctoid, always a Proctoid. Shanghai accounts for about 8% of China’s GDP, 10% of it’s ports’ cargo throughput, and 25% of the country’s exports. If the label reads “Made in China”, there is a good chance it was made in or near Shanghai. The city has a number of agricultural zones that produce enough food products for its citizens and to sell to neighboring areas. In addition, Shanghai has a wide industrial base including automotive, electronics, communication equipment, petrochemicals, steel and biomedicine. Transportation is also an important industry in Shanghai. While I was there, my wife and I had the opportunity to ride the magnetic levitation train (Maglev). This is a demonstration train that runs from the Longyang Road station in Pudong to the airport. It is the world’s fastest train in regular commercial service and can attain speeds of 268 mph. The ride took 7 minutes and 20 seconds to complete the distance of 18.6 miles. 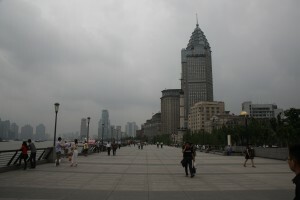 Here are some shots I took that will give you a feel for Shanghai. I found both Beijing and Shanghai eye-opening. What I saw and learned shattered any preconceived notions I had about China. I found so much to be impressed with; the modern infrastructure, the dedication, drive and graciousness of the people, the desire to learn more about Americans and America. Based on my experience from visiting these two cities, the idea shaping in my mind was that we have more things in common with than different from with the Chinese people (“squatty potties” an acknowledged exception and hopefully a once in a lifetime experience). My next stops are rural China and Hong Kong. If you have experience with China please share your perspective by leaving a comment on this post. If you haven’t already, you might also like to read the other posts in this series – Impressions of China and Impressions of Beijing. Ed, sounds like you had a great trip to China. 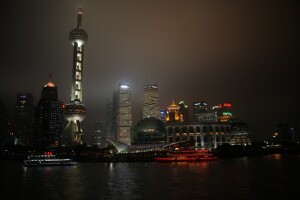 I came away with similar thoughts about Beijing and Shanghai. I loved your story about the shoe salemen in Africa and how that relates to China. There are big opportunties there. I’m working on a project to bring some of the new middle class Chinese to New Mexico as tourists to experience our cultural heritage, art and scenic beauty. Time we start working on that trade deficit. inclined and does not have a broad knowledge about technological terms. The speakers of both televisions are located at the sides of the plasma display.